This was their debut LP. And absolutely great! 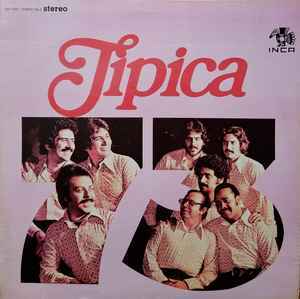 Formed in New York by a number of musicians from Ray Barretto‘s band, the Cuban charanga and Salsa band, Tipica 73, enjoyed great success in the 1970s and 1980s. (The term típica refers to the “typical” configuration of a Cuban Charanga with violin, and 73 to the year of founding the group) The legendary band is notable for its experimental style and being the first US-based Salsa orchestra to record in Cuba – the result of which was the album “Típica 73 En Cuba Intercambio Cultural.” At the time, Tipica 73 featured several Salsa musicians who would go on to become famous as solo artists, including vocalist José “El Canario” Alberto and violinist Alfredo De La Fé. In the nascent and thriving New York Latin jazz and Salsa scene in the early 1970s, the group began with Johnny “Dandy” Rodriguez Jr and four of Ray Barretto‘s original band including Adalberto Santiago (who all left Barretto simultaneously to start Tipica 73 in 1972), and, after combining the conjunto percussive style (congas, timbales, and bongos) with a horn section the band became one of the biggest stars of the Salsa movement in the USA.